The last decade has witnessed the evolution of a new landscape of development cooperation. 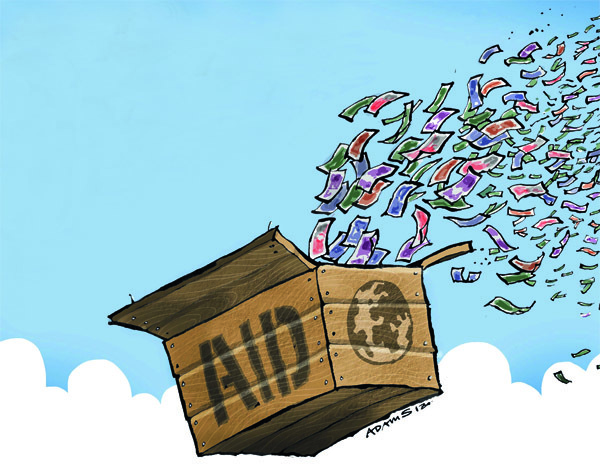 The rise of new financial contributions and models for meeting international development objectives that are beyond the definition of traditional official development assistance has redefined the contours of development assistance. These new development contributions include non-development assistance committee donors (India and China), climate finance funds, social impact investors, philanthropists, global funds and less concessional flows. The composition of development aid has predominantly shifted to non-traditional sources. The share of non-traditional share of development aid flows from being only $5.3 billion or 8.1% of total development assistance in 2000 increased tenfold to $53.3 billion or 30.7% by 2009. This change in the development scenario is a result of a myriad of dynamic global political and economic scenarios. The pressures on local politics and resource drain have reduced the flow of traditional aid from the developed countries to the developing countries. Moreover, the growing awareness that integrating social and environmental action will benefit companies in the long run has manifested social consciousness in businesses and investors. While investing for a good cause is generally the good thing to do, there is a strong belief that investments in development benefit the companies themselves. For instance, investments in Corporate Social Responsibility (CSR) often help companies manage risks, avail of tax benefits, bolster brand reputation, increase access to capital and to differentiate themselves from competitors. The reasons are manifold. The reality is that these factors have led to a diverse landscape of resources for international development. This change has mushroomed with it, a whole new area of catalytic and innovative development finance mechanisms that leverage resources to support and advance solutions for poverty eradication and development. These innovative and catalytic financial models bring together funds of diverse actors to advance smart solutions for people and the planet. The World Bank describes these innovative financing instruments as those that depart from traditional approaches to mobilizing and delivering development finance and entails “non-traditional applications of solidarity, PPPs, and catalytic mechanisms that (i) support fundraising by tapping new sources and engaging investors beyond the financial dimension of transactions, as partners and stakeholders in development; or (ii) deliver financial solutions to development problems on the ground” . The acceptance and growth of development finance presents an opportunity for developing countries to effectively strategise and leverage this array of domestic and internationally available public and private finance complementarily as they advance towards green and inclusive growth in the post 2015 scenario.